Dori's Tea Cottage in Groveland, California. Dori says her business is being hit by lack of tourism because of the government shutdown of nearby Yosemite National Park. With the shutdown over, National Parks are re-opening in California. Yosemite opened its gates last night after Congress reached a deal. Services will be up and running today, although visitors were able to use roads and other public spaces just before midnight last night. 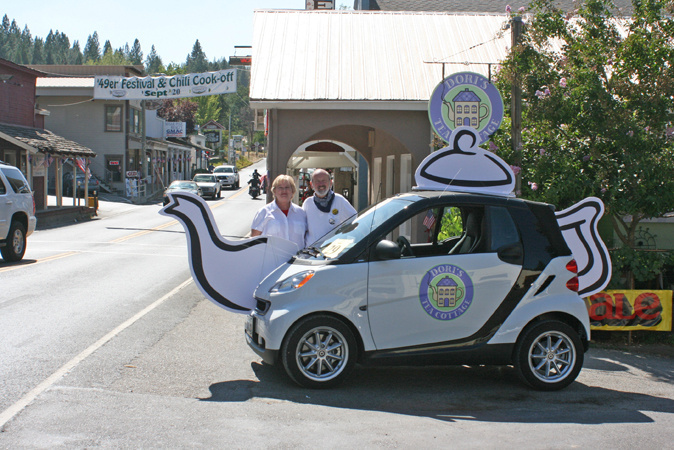 Dori Jones owns Dori's Tea Cottage in Groveland, California, just outside the park. We spoke to her on day three of the shutdown, when she was concerned about the effect the park's closure would have on her business. Especially after the Rim Fire hit the area pretty hard. Now that Yosemite has opened it gates again we decided to check in on Dori again.